Meet Musab from Muscat, Oman. 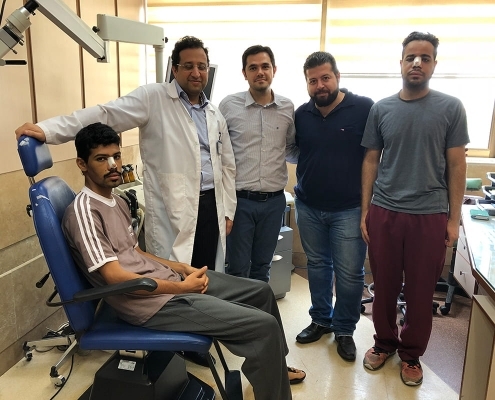 He flew to Tehran along with his friend, to have a rhinoplasty. Musab is a Chemical Engineering student in the United States, where rhinoplasty is a luxury—and very costly! 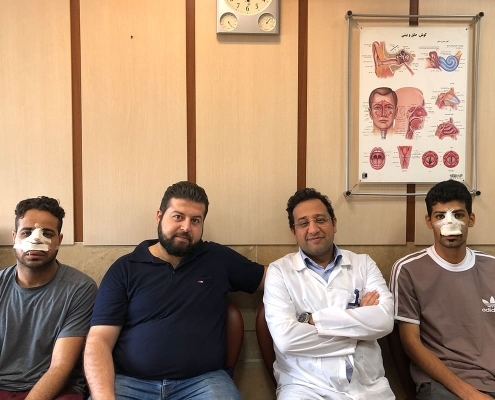 As Musab was looking for a rhinoplasty option in the United States, one of his university instructors, who happened to be an Iranian by origin, suggested that he go to Iran for nose surgery, as the country is well-known in rhinoplasty and has the most experienced doctors. 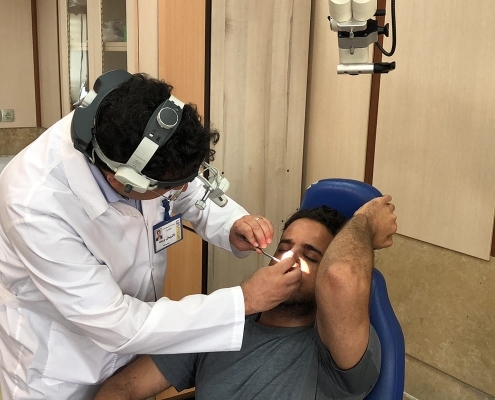 This was the beginning of Musab’s determination to fly to Iran and go under the skillful knife of an Iranian rhinoplasty specialist. After Musab went back to Oman on a holiday, he decided to take that opportunity to make a trip to Iran and have his nose job done there. Now he had to find a doctor and arrange a trip. The best option for him was to do online research, so he googled some terms like ‘rhinoplasty in Iran’, ‘best nose surgery doctors in Iran’ and the like. Among the google results, a website caught his attention because for whatever term his searched there was at least one result in the first page—webpage links belonging to AriaMedTour. The omnipresence of the website’s google results convinced Musab that it was a popular website, hence belonging to a reputable company. Consequently, Musab sent a message to the WhatsApp of the company, because, as he puts it, “it was the easiest way” for a communication. 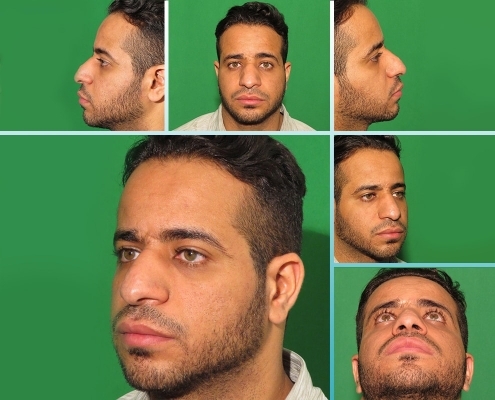 It took no more than one week of communication between Musab and AriaMedTour before he made up his mind to ask for a full rhinoplasty package to be arranged for him (the package includes a wide range of services including all services pertaining to the rhinoplasty and other travel-related services such as accommodation, flight, transfer, interpreter, etc.). 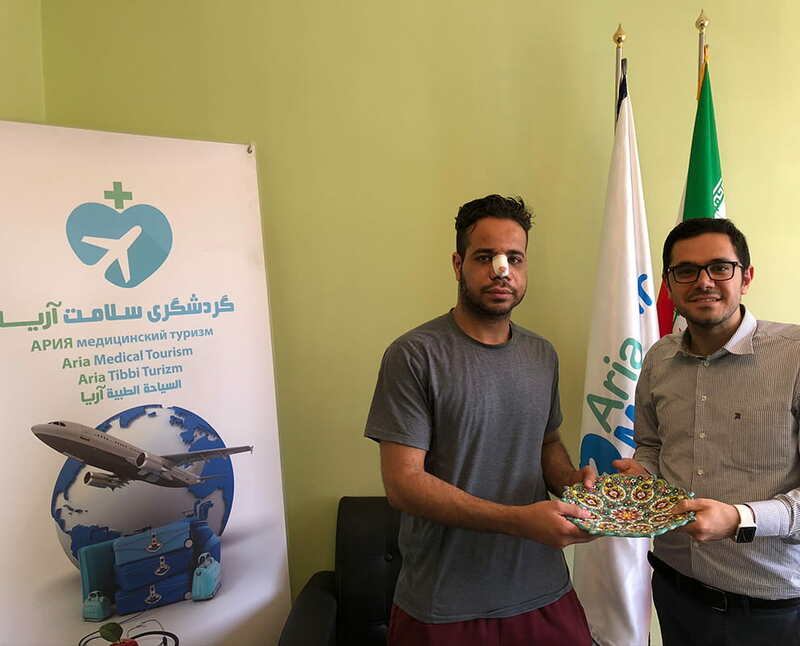 There is typically no need for a carer when you choose AriaMedTour as your medical tourism facilitator, but Musab preferred to have a friend accompany him during his trip for the sake of more convenience. Therefore, he asked the company to arrange a duo trip—two flight tickets, and a double hotel room. As soon as Musab and his friend arrived at the airport, they were picked up and transferred to the doctor’s clinic to have a visit with him. An Arabic-speaking coordinator who was fluent in Farsi was sent by AriaMedTour to do the interpreting job between the doctor and the visitors. Interestingly, after the meeting with the doctor, Musab’s friend Hisham, too, grew interested in having a rhinoplasty with him. After undergoing some routine pre-op tests, the two Omani guests were then transferred to the hotel, where a double room was already booked for them, to spend a peaceful night before their surgery. The next day, the ArieMedTour’s coordinator went to their hotel and took them to the hospital where the operations were to be performed. After another meeting between the doctor and the to-be-patients, which was for reviewing of the patients’ expectations and the doctor’s instructions, the surgeries were done separately at the hospital (patients are expected to clearly express their complaints and expectations when meeting their doctors. Musab and Hisham were unhappy with their wide and flat noses and wanted to get them smaller by reducing the widths). 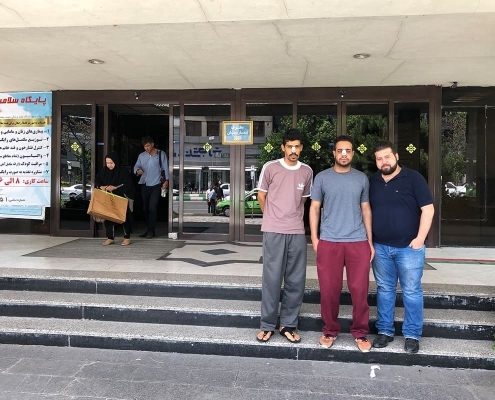 After the surgery and the recovery period at the hospital, Musab and Hisham were transferred to their hotel. They had to stay for at least 5 days there as they needed to once again see the doctor for the removal of the nasal cast and splint, and renewing the bandage. 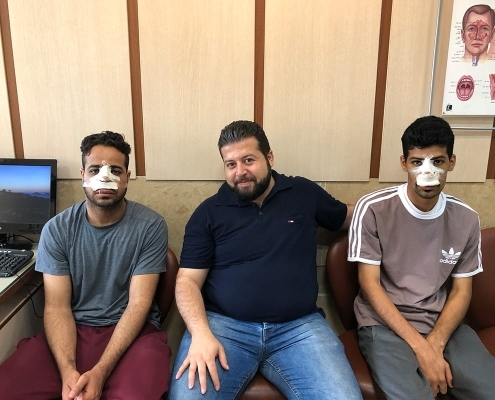 As scheduled, 5 days after the surgery they went to the doctor along with AriaMedTour’s coordinator and had their cast and splint removed, were instructed by the doctor about how to tape their noses at home and given instructions for the recovery period. The doctor also gave them written flight certificates so that they would be allowed to board a flight (Some airlines require medical certificates acknowledging that a patient is currently stable and fit to fly). 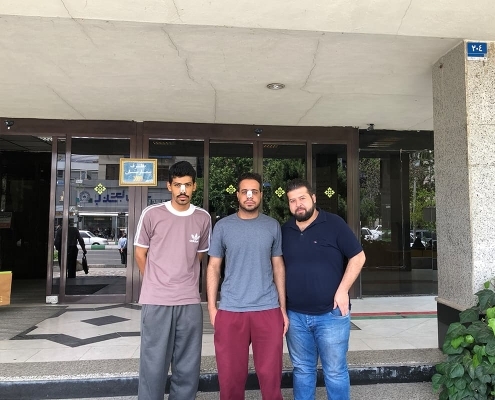 On the last day of Musab and Hisham’s stay in Tehran, they paid a visit to AriaMedTour’s office, where they met the staff and conversed with them in a friendly atmosphere. They were given special gifts as a sign of hospitality. 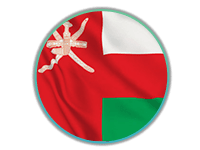 In the end, they were transferred to the airport to go back to their home country Oman.